Fall is (finally) in the air and that means the Beverly Art Walk isn’t far behind. This year marks the 5th anniversary of this new Beverly/Morgan Park tradition. Without our friends at the Beverly Area Arts Alliance, The Frunchroom simply would not, could not, be. We are very proud to be a part of Beverly Art Walk Week with out next show this Tuesday at Beverly Arts Center. Without further ado, our first reader for this special edition of The Frunchroom is Rayshauna Gray. 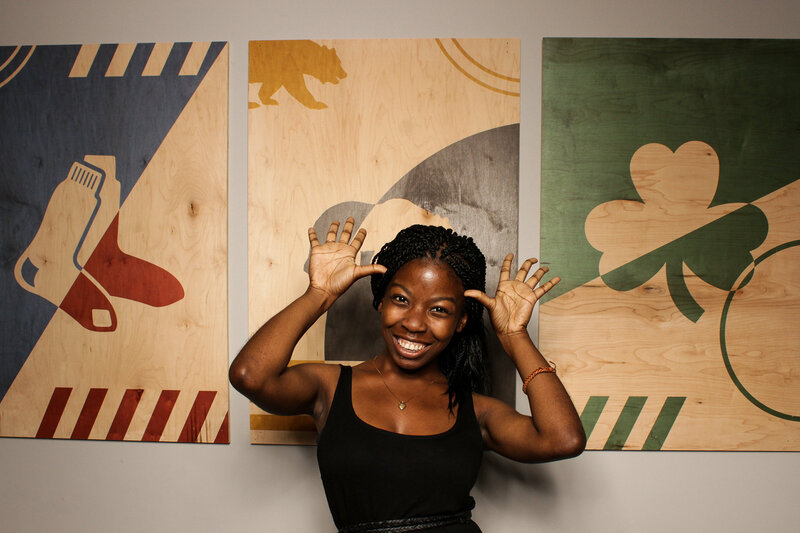 Rayshauna is a Chicagoan living in Cambridge. She’s thrilled to be living her childhood dream of being a time traveling storyteller. She loves researching with Tufts University’s history department, Harvard’s Slavery Research Project, and petting all the good dogs in Boston. She’s currently putting the finishing touches on Roseland, a book about the last 200 years of her family’s history through the last seven generations of women in her family (out with Belt Publishing in Fall 2019). Her Frunchroom story is about history and circumstance. She’ll be sharing her love of the South Side (specifically Roseland and Beverly) and how circumstance unfolded in *just* the right ways to get us in the same room. See Rayshauna and the rest of our readers at Beverly Arts Center this Tuesday at 730pm. The Frunchroom, the live storytelling series about the South Side of Chicago that makes its home in Beverly/Morgan Park will switch to Tuesday for its next show as part of the Beverly Art Walk Week’s 5th anniversary. 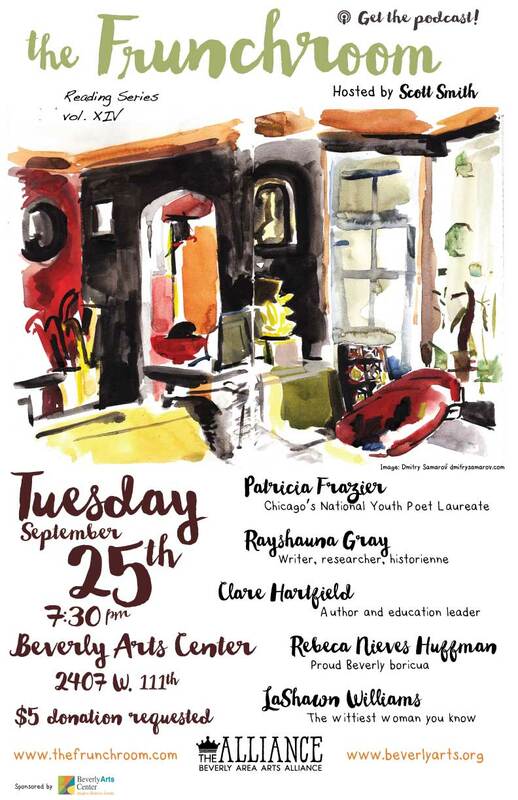 The next show will be at 730pm on Tuesday, September 25th at Beverly Arts Center (2407 W 111th St, Chicago). A $5 donation to benefit the Beverly Area Arts Alliance is requested. LaShawn Williams, an arts and entertainment freelance writer for Gapers Block.com, SoulTrain.com, BlackDoctor.org, Comedy Hype and more. Guests are encouraged to arrive early and see a preview of one of the Art Walk installations curated by Beverly Arts Alliance co-founder Sal Campbell. The unique mix of art, cocktails and stories at The Frunchroom is sponsored by The Beverly Arts Center. The event continues to be produced as a showcase for original written work, presented in partnership with The Beverly Area Arts Alliance, the organization responsible for local arts events like the Uprising Craft Market and Local Art on Tap. The Frunchroom has played to packed houses since it began in April 2015. Previous readers include local residents and business owners; radio and podcast hosts, teachers, poets, politicians and artists. In addition, The Frunchroom has featured reporters and anchors from the Chicago Tribune, South Side Weekly, Bloomberg News, WBEZ-FM and WGN-TV. We’re three-plus years into The Frunchroom. We must be doing something right because they’re even using the name for fancy North Side restaurants now. It’s all thanks to YOU for showing up at our shows, our readers for sharing their talent and the fine folks at The Beverly Area Arts Alliance for co-producing such a great night of art and storytelling. One note of caution about tonight’s show: Most of 111th St around the Beverly Arts Center is tore up due to construction, from Longwood on the east all the way to Sacramento/the railroad tracks. Leave some extra time to drive and park in the BAC parking lot off Campbell. Come early, grab a drink and enjoy photography in The Blue Room, located just off the lobby at BAC. 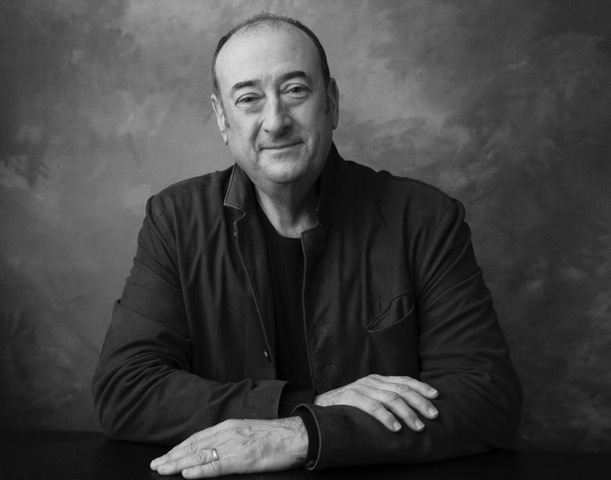 Curated by Beverly Area Arts Alliance co-founder Sal Campbell, The Blue Room will showcase photography by one of our readers, David Daruszka (seen above). Beverly Arts Center has parking just west of the building and another lot on the south. We recommend Ellie’s Cafe at 107th and Hale. If you eat at Ellie’s tonight, bring your receipt and you can bypass the request for a $5 donation at the door. Their Thursday night dinner specials are not to be missed. Tonight their special is bourbon baby back ribs (half or full slab) served with corn on the cob and garlic mashed potatoes. Choice of soup or salad & dessert included. Or try their weekly special: The Black and Bleu salad (fresh blue cheese and tender ribeye steak or try it with portobello mushrooms instead of ribeye. Served with soup or salad and dessert. There’s also Horse Thief Hollow or Open Outcry on Western Avenue. It’s not often our readers tend to make the news the same week they’re appearing at The Frunchroom. But our final reader is one of the week’s big political stories. Yesterday, Celina Villanueva was sworn in as the state representative of Illinois’s 21st district (she was appointed to finish the term of Silvana Tabares, who became alderman of Chicago’s 23rd Ward upon the retirement of Ald. Mike Zalewski). On Thursday, she’ll appear at The Frunchroom to tell us how she got there. Prior to Tuesday, Celina was the Civic and Youth Engagement Manager at the Illinois Coalition for Immigrant and Refugee Rights. With a focus on building immigrant power, developing leaders and expanding our democracy to be inclusive of new voices, Celina ties in her background in organizing, civic engagement and youth development to engage immigrant communities and allies throughout Illinois into the various campaigns at ICIRR. With various wins under her belt, Celina has helped to expand voting rights through her efforts on online voter registration, Election Day registration, and most recently automatic voter registration, all of which are now law in the Land of Lincoln. Additionally, Celina led the largest immigrant civic engagement program in Illinois that has registered over 200,000 new American voters and mobilized hundreds of thousands more to get out to vote. Prior to joining ICIRR, Celina served as the Director of Organizing at Chicago Votes, as well as working on various issue-based campaigns including the fight for Marriage Equality in Illinois. 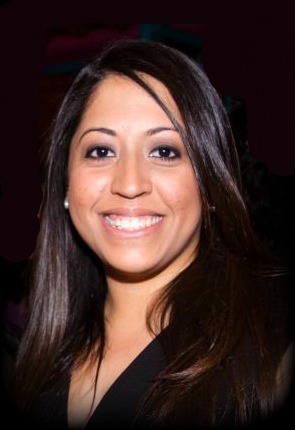 She also previously served as Outreach Coordinator for Cook County Commissioner Jesus “Chuy” Garcia, a role that superseded her work on various state and local electoral campaigns. When she’s not busy trying to change the world into a place where we can all live openly, freely and safely, Celina is an avid reader, lover of musicals, dancing and a great brunch. A born and bred Chicago girl, Celina graduated with a B.A in Latina/Latino Studies with minors in African-American Studies and Spanish from the University of Illinois at Urbana-Champaign. Join Illinois’s newest state rep at The Frunchroom this Thursday at 730pm at Beverly Arts Center. Our next Frunchroom reader is a South Sider who’s been a true cultural creator and innovator. Joe Shanahan has spent the past 35 years contributing to the shaping of Chicago’s music community from his post on North Clark Street. Comprised of Metro, Smartbar and GMan Tavern, the family of music venues he and his devoted team have spent decades building has become one of few remaining independently owned and operated music venues in the country. Born and bred on the South Side, Joe’s allegiance to his Chicago roots has never wavered. Determined to turn his love for the arts from a passion to a profession, he studied photography and design at Southern Illinois University and Columbia College Chicago. Ambition soon outgrew the classroom, though, spurring creative pilgrimages to New York City and New Orleans. He returned home with an “act local, think global” business philosophy and a zest for curating events throughout Chicago. It wasn’t long before the events demanded a space all their own—that’s when Joe was directed to 3730 North Clark Street, the future home of Metro and Smartbar. With Smartbar stationed on the fourth floor, the club’s small and dedicated staff began etching their imprint on every floor of the building one show at a time, hosting top Chicago DJs like Frankie Knuckles, Ralphi Rosario and Derrick Carter. July 1982 marked the team’s first show in the space now known as Metro. With a five-dollar ticket and a small crowd of likeminded music fans, college rock up-and-comers R.E.M. inaugurated a legacy that has prevailed for 35 years and counting. In the years since, Metro has planted its roots in that intimate auditorium, hosting new wave lynchpins New Order, Depeche Mode, and more. Smartbar migrated down a few floors and remains a mecca for electronic music, continuing its dedication to promoting house music. Neighboring watering hole GMan Tavern, with its cozy bar and music room, was added to the fold in 2012, hosting legendary acts including Chrissie Hynde and Mavis Staples. Joe’s pursuits span far beyond music. He is the recipient of a Columbia College Chicago honorary Ph.D and a Grammy Honor from the Chicago Chapter of The Recording Academy. Committed to giving back to the community that has given him so much, he also fills his calendar with civic commitments benefitting The Chicago Children’s Choir, The Frankie Knuckles Foundation, Imerman Angels, The Lakeview Pantry, Planned Parenthood, The Society for Contemporary Art, and Young Chicago Authors. Joe will tell a story about how the South Side shaped his work ethic. Don’t miss this show on Thursday at 730pm at Beverly Arts Center. Next up on this Thursday’s Frunchroom lineup is Sahar Mustafah. Sahar is a native of Chicago who grew up on the South Side of Chicago in the Gage Park neighborhood. She is also the daughter of Palestinian immigrants, a richly complex inheritance she explores in her fiction. 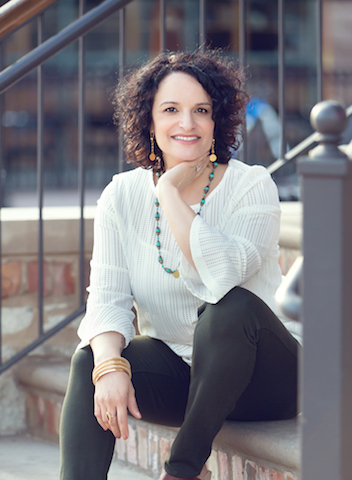 Her award-winning short story collection Code of the West centers on native and immigrant Palestinians. Her short stories have been awarded the Guild Literary Complex Prize for fiction, a Distinguished Story honor by Best American Short Stories 2016, and two Pushcart Prize and a Best of the Net nominations. She is co-founder of Bird’s Thumb, a publishing project devoted to new, emerging and established writers. Sahar is at work on her first novel about a hate crime shooting that takes place outside of Chicago. It is forthcoming next year by W. W. Norton. Sahar currently lives in Orland Park and has taught delightfully misunderstood teenagers for over twenty years. Her story is about the internalized racism she experienced growing up on the South Side. Join her and four other readers this Thursday at 730pm at Beverly Arts Center. Living in the 19th ward, there’s one thing that affects your road travel more than anything else: railroad tracks. So it’s perhaps fitting we have a former locomotive engineer in our midst for this Thursday’s Frunchroom show. Dave Daruszka has spent his entire life surrounded by railroads and immersed in their history. 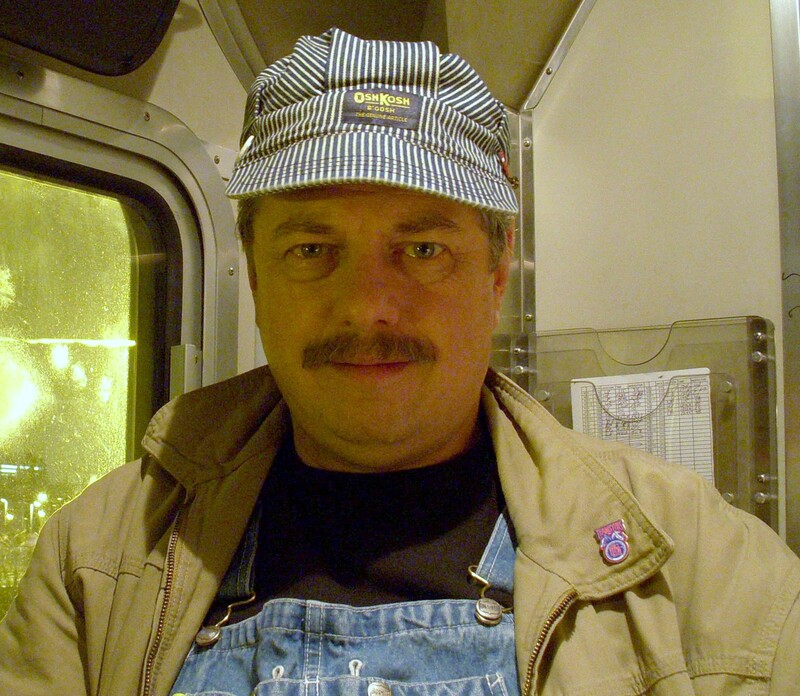 Despite attending college to study design and photography, and making a few attempts at a creative career, he inevitably ended up working on the railroad as a locomotive engineer. The railroad left him with a darker sense of humor, numerous aches and pains, and a multitude of stories. These tragicomic tales are filled with a cast of characters that border on the unbelievable. They are most often best told to other railroaders who understand both the joys and futility of the industry they give much of their lives to. 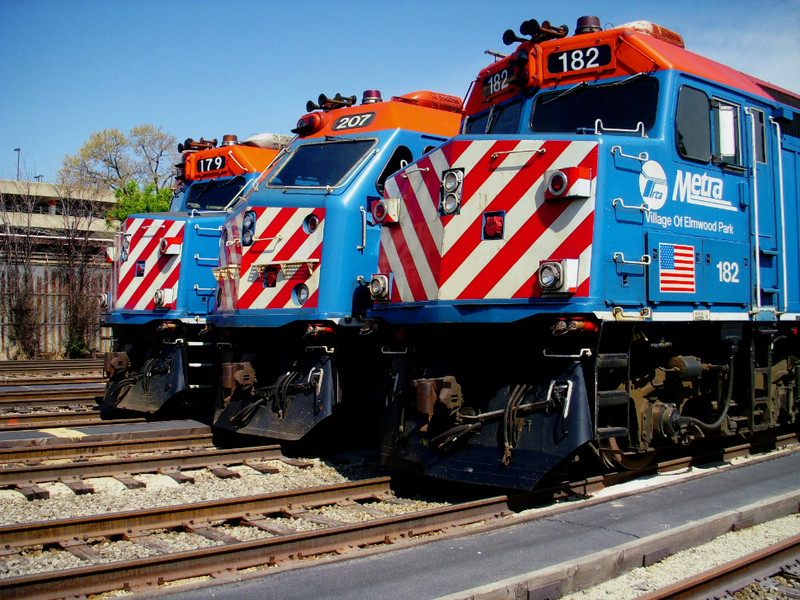 Since retirement, Dave has gone back to working on his photography and other artistic pursuits while blogging on occasion about Chicago’s railroad history and his life as a Polish kid from Buffalo, NY. He has also undertaken a new quixotic project and currently lives in Morgan Park…near the railroad tracks. See Dave and our other readers this Thursday at 730pm at the Beverly Arts Center!